Media, ethics, and journalism. What works. What doesn't. It says something about the state of broadcast journalism when two, once highly regarded news anchors seem prone to possibly career-ending mistakes. 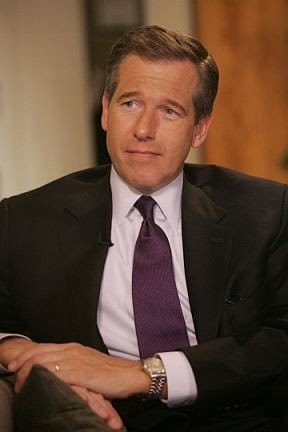 At NBC News, Brian Williams has admitted that he made things up about his time in Iraq. When forced by social media to come clean, Williams admitted that a helicopter he was in did not come under direct fire. Williams' coverage in New Orleans of Hurricane Katrina is also being questioned. NBC has asked that its own investigative unit look into these allegations and make a public report on whether Williams misled his audience, his colleagues and his employer. This comes at a time when NBC Nightly News has been leading the evening network news competitions with long time rivals CBS and ABC. According to the New York Times, "NBC News executives have not publicly addressed the issue, hunkering down on Friday as Mr. William's troubles continued to draw a frenzy of criticism. Across the web, commentators have been aggressive in questioning not only Mr. William's reporting but NBC's handling of the problem. Some military veterans and commentators have called for his resignation." At CBC News, a similarly embarrassing situation has been building for months, involving a number of high-profile journalists including Peter Mansbridge, Chief Correspondent and long-time host of the CBC's flagship newscast, "The National." 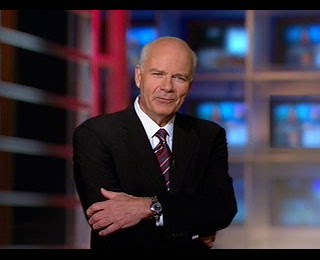 Unlike Williams, Mansbridge has not exaggerated his journalism or deceived his audience. But he has accepted speaking fees from lobby groups that have many in the blogosphere and the CBC's own ombudsman calling for an end to the practice. There is a growing perception, led by digital media, that this practice which has further enriched an already well compensated group of public broadcasters, must end. So in an effort to deal with the damage to the CBC's bruised reputation, senior management says they have banned all future paid speaking gigs, unless otherwise approved by the top echelons. Some paid speeches, says Jennifer McGuire, CBC's editor-in-chief will be allowed if they were agreed to before the new policy was proclaimed. McGuire also promised that all speeches, paid or unpaid would be posted on the CBC's website stating where the journalists appeared (that seems not to be happening with any urgency or consistency). That might have tamped down the controversy. But it hasn't. Bloggers continue to point out significant gaps between management statements and new paid speaking gigs for Mansbridge and others in the CBC. Most recently, blogger, journalism professor and former CBC journalist Andrew Mitrovica has been relentless in going after this practice when it was revealed that Mansbridge spoke to a "FarmTech" conference sponsored by Monsanto and the Koch Brothers. Other bloggers like Frank Koller have been similarly focused and equally disappointed. Could it be that the CBC's journalistic stars prefer to ignore the latest ukase from management, since to do otherwise would be to admit that they have done something wrong? They seem to want to tough it out. At NBC, a private corporation is willing acknowledge that there may be something seriously wrong in the mindset of its most prominent journalist. Should not the CBC, the Canadians' publicly funded broadcaster, do any less? Now The Details by Jeffrey Dvorkin is licensed under a Creative Commons Attribution 4.0 International License.